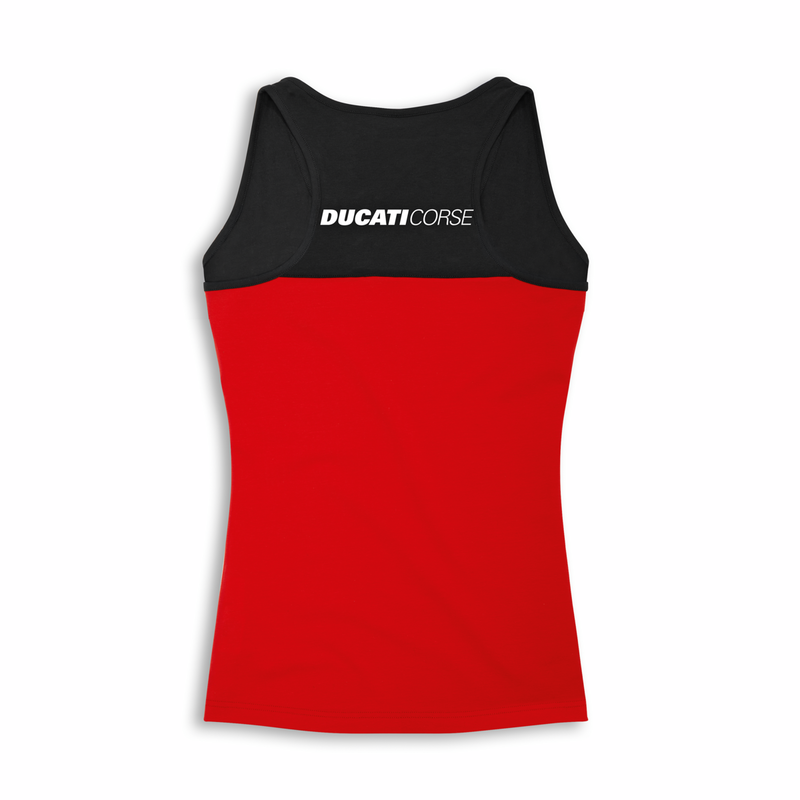 With its sporty cut, the Ducati Corse singlet has pure racing style DNA. 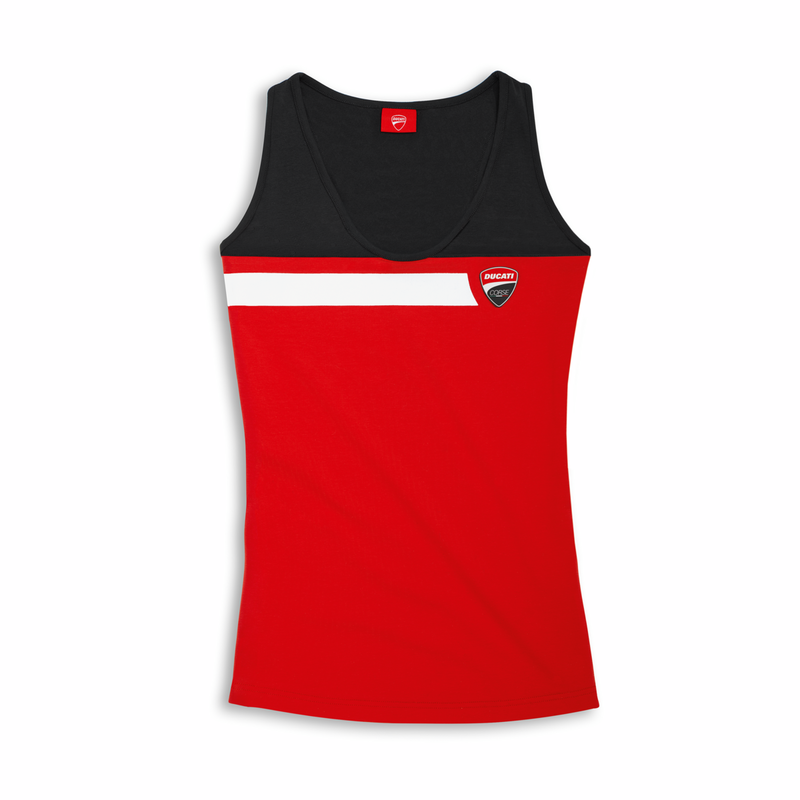 The garment showcases the Borgo Panigale manufacturer's traditional colours, red and black. One element deriving from the racing world is the white plastisol printed personalisation on the chest. The Ducati Corse shield also features on the chest. Material: 95% cotton, 5% elastane.